There is nothing more pleasing for us than helping a golfer play better golf. A few weeks ago Dave Shering called in for an irons fitting session and we sorted him out with a new set of Titleist irons. 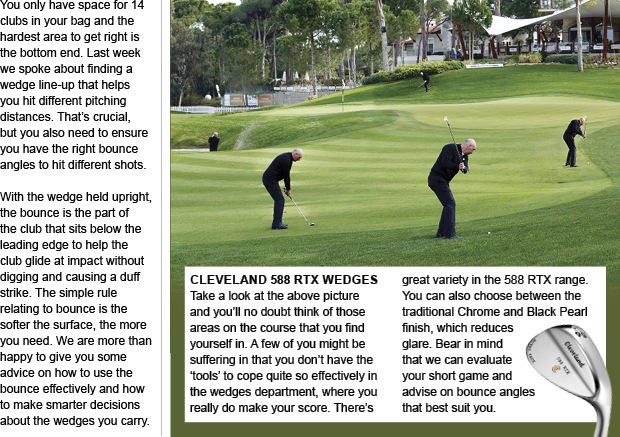 Regular readers of the newsletter will know that we always extol the benefits of club fitting, over 85% of competition winners at Hartford have been custom fitted, and we continually see examples of this working through golfers shooting better scores and handicaps dropping. The latest proof has been illustrated by Dave's recent performances with his new irons, he has consistently hit better shots and has won two out of his last four competitions with scores of 43 points and then a nett 66 in last week's Midweek Medal to see his handicap drop to 15. If you are serious about improving your golf come and see us for a club fitting. If you play better golf it means more enjoyment in your game! Click here to book a fitting. There was a Stableford played on Easter Monday and it was great to hear lots of members commenting on the good condition of the golf course, in particular the greens were rolling well and running pretty quickly, they were measured at a rate of 8 on the stimpmeter - which is pretty fast! The greens certainly suited young Kieran Underwood who scored a great 41 points total, including a storming finish of two birdies in his last six holes! Second place went to Tim Barnes who scored 39 points and had three birdies in his round, in third place was Alan Tayler with 38 points. Kieran has now finished in the top six in his last three competitions and his handicap has reduced to 14. Well done Kieran! Captain Chris Bird did well to score 2 two's but didn't enter the two's pool! Also just to mention our young Cheshire junior golfer Tom Duncalf who is now playing off a handicap of 3 and had four birdies in his first ten holes. He will probably feel a little frustrated he didn't end up with a better score than 36 points. The next competition is on Saturday at 12pm and it's our first major of the season - The Inaugural Trophy, you can enter now on the club notice board. As mentioned before Dave Shering won the April Midweek Medal with a fine nett 66, in second place was new member Ian Tier, playing in his first competition, he scored two birdies and came in with a score of nett 69. Third place went to our very own catering manager Matthew Leach who has been getting into his golf this year and scored a very good nett 69 including a birdie on the first hole. His handicap has dropped a shot to 27 and he could be a player to look out for in this Saturday's Inaugural Trophy! We have a fitting day with Titleist golf coming up on Thursday 1st May, there are 3 slots left for a FREE fitting with a Titleist custom fitting specialist. The slots left are 2pm, 2.40pm and 5.20pm. If you would like to book one of these slots please click here, if you've never had a fitting before this could be the perfect time! Our shoe trade in offer is in full swing and will be running all the way through April, you can trade in any old pair of golf shoes and get up to a £20 discount off a new pair of shoes. Remember we also offer a shoe fitting service, we can measure the size of your feet and make sure you get the best pair and the best fit! You may have noticed some new faces on the golf course recently, there are 13 new young ducklings waddling around the golf course with their mother and they were even spotted strolling around on the driving range the other day by Keith Morrish. He took these couple of photographs of them on Sunday afternoon and by the looks of things they are growing up quickly! Membership renewals are due now, if you aren't a paid up member you cannot play in this Saturday's Inaugural Trophy. There are even more membership offers than ever including a family and couples discounts and dual membership with Pryors Hayes Golf Club. We are on the look out for a new part time shop assistant who can work over the summer months, there will be roughly 20 hours of work available per week mainly during the day time Monday-Friday. 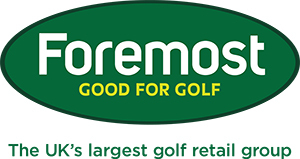 A reliable person who is at least 18 years old with their own transport with a friendly manner and is a golfer who has a basic knowledge of golf equipment would be ideal, main tasks will be serving customers, helping with enquiries and taking telephone bookings as well as helping put new stock out and keeping the shop tidy. The new shop assistant can also enjoy the benefits of free golf here and free range balls. If you are interested please get in touch with me here and I can give you a few more details. The latest golfwear has never been so classy or so versatile, boasting quality fabrics and designs that look fantastic both on and off the course. 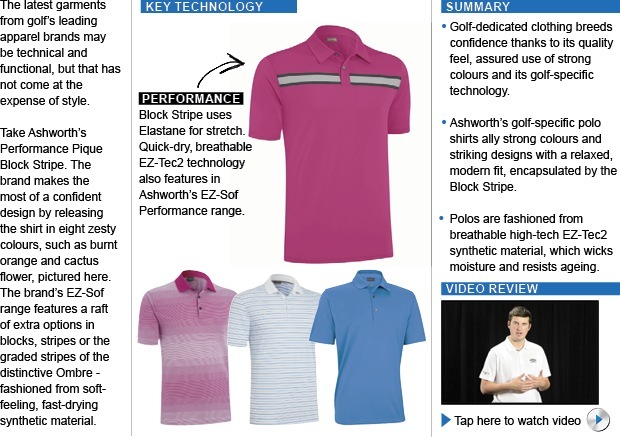 And of course, buying from a dedicated golf brand gives you the confidence from knowing your garment is packed golf-specific technologies.